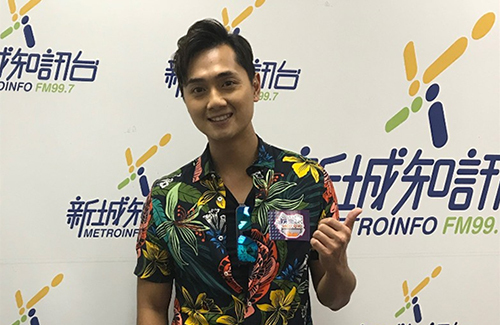 In a radio interview to promote his new album Starlight <星光>, Fred Cheng (鄭俊弘) revealed that he has been cast in a new TVB drama, which will begin filming next month. It’s been well over two years since Fred last starred in a television drama. His last work Provocateur <與諜同謀> in which he costarred with Gallen Lo (羅嘉良), aired in early 2017. Despite expressing his interest in pursuing both acting and music, his relationship with Stephanie Ho (何雁詩) took a toll on his image, and Fred went on an acting and music hiatus. Oh no!! !……first the bad news about the “new” faces tthat TVB will be heavily promoting and now more bad news…….ughhhhh!!!! TVB is truly on the road to its demise if these are the actors who will be leading their dramas in future. Honestly why is this guy still in the industry. He’s a late ” bloomer” and even then he is totally replaceable, from looks to singing to acting.Not to mention he is getting old. Would much rather see Hubert. Lol. I would rather see him on screen than Tony Hung and I think he’s okay with his acting he’s good at crying for sure. @cutie777 There isnt any wrong with his acting. He’s quite a vet in fact since he’s worked his way up.